Adding Yolk Ingredient To The Bowl. Description: Adding yolk ingredient to the bowl. 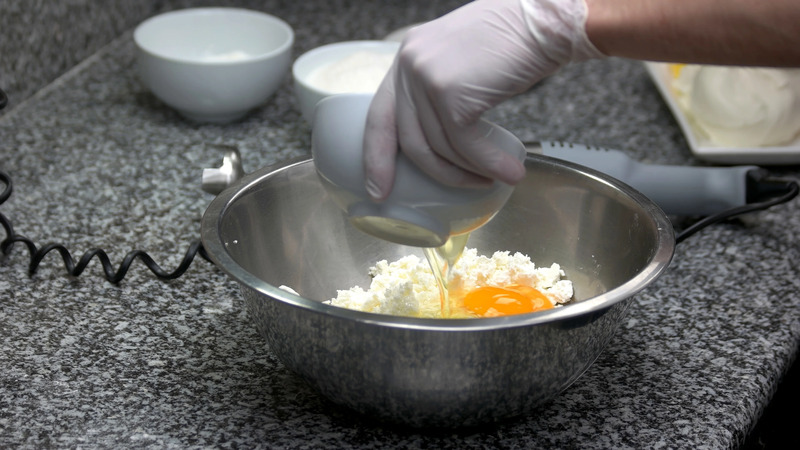 Pouring yolks in bowl with cottage cheese. Cooking dough.